A dense clear liquid infused with a selection of glitters including Gold, Silver, Copper, Multi, Green, Blue, Clear, Purple and Orange. Paint it on with a brush. 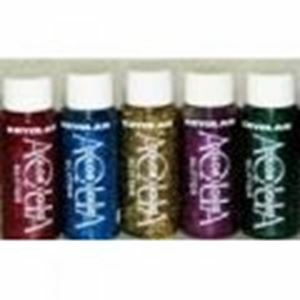 Gives a highly visible glittery finish. Ideal for children's make-up and painting.